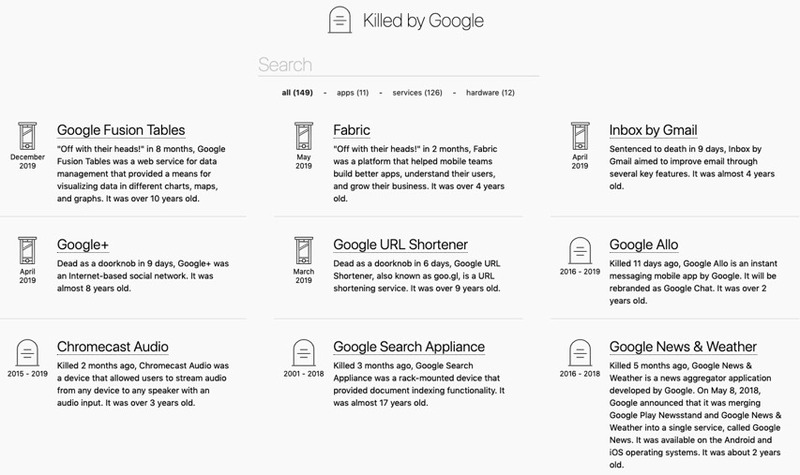 Killed by Google – The Google Graveyard & Cemetery by @codyogden @google #killedbygoogle desktop PyPortal version « Adafruit Industries – Makers, hackers, artists, designers and engineers! 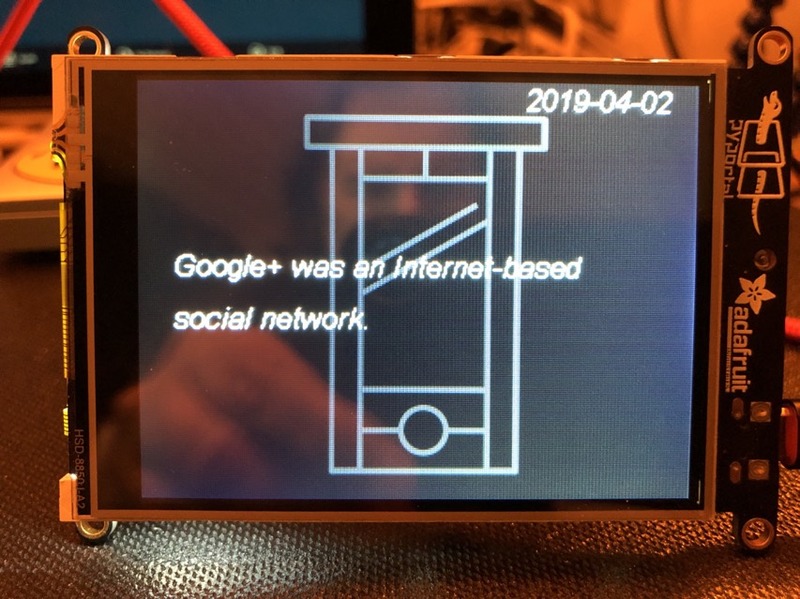 Part guillotine, part graveyard for Google’s doomed products, services, devices, and brands. I checked out the GitHub and saw there was a JSON file that anyone can do pull requests for and add past products, I used the JSON file for the PyPortal to make a desktop display to glance at with all the past Google products (video). # now we can randomize them! I never got into all that google+ stuff to begin with. I guess I’m “old fashioned”, but I like to keep control of my data and my applications. And now, seeing that your stuff can go away in an instant, I’m not sorry for my choice. By the way, I see that you still use the 3 band resistor color code. There are so many sellers out there that handle the 4 band (plus tolerance) types where I can’t see a space between 4 and tolerance. It seems strange to me that things like Project Tango and the Nexus device line make it into the list of dead Google things. Project Tango has been replaced with the next iteration of Google’s AR framework, so it’s hardly dead, and “Pixel” vs “Nexus” is really just a different naming convention. Compare that to killing off entire apps or services like Inbox and goo.gl.